To transfer the data from the TCMS software into a USB flash drive, first you will need to connect a USB flash drive to the computer. After connecting the flash drive, on the TCMS software, you will need to click on the Devices icon, and then double-click on USB Flash Disk Management. Once the USB flash disk management window is open, you will have to select whether you want to “Read data from USB disk into PC” or “Write data from PC into USB disk”. To transfer data to the USB flash drive, you will have to select the option under “Write data from PC into USB disk”. After selecting that option, you will have to click on “Next”. Afterwards, you will have to select the drive location of your USB flash drive. Then, you will have to click on “From PC” to select which employee(s) information you would like to send to the clock. After selecting the specific employee ID numbers that you want to send to the USB flash drive, you will have to click on “Save to USB”. Once you click on “Save to USB”, the data will be sent from the software into your USB flash drive and you will get a pop-up that says “Process Completed”. Now you will have to connect your USB flash drive to your time clock to transfer the data. When you connect the USB flash drive to the time clock, you will have to press the Menu button to get into the main menu screen, and then navigate to the “Pen Drive” and press the “OK” button. Afterwards, you will have to select “Upload” since you want to transfer the data from the flash drive into the time clock. Once you press OK on “Upload”, you will have to select “Upload User” (If you are not using a colored unit, you will only have to press OK on “Upload” to transfer the data). Afterwards, all of the data will be transferred over from the USB flash drive into the time clock. 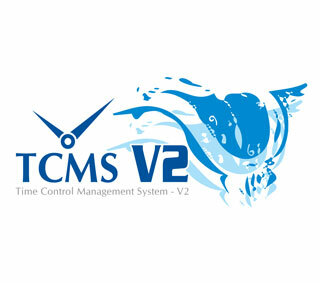 To transfer the data from a USB flash drive to the TCMS software, first you will have to transfer the data from the time clock to the USB flash drive. To do this, you will need to connect the flash drive to the time clock. Then, you will have to press the Menu button to get into the main menu screen, and then navigate to “Pen Drive” and press the “OK” button. Afterwards, you will have to select “Download”. You will have to select to either download the “Attlog” or the “User” information. The “Attlog” contains the times your employee(s) has clocked In and Out. The “User” contains the employee information such as their fingerprint data and their password. Once the data is transferred over to the USB flash drive, you will have to connect the flash drive to the computer so you can transfer the data to the TCMS software. After connecting the flash drive, you will have to click on “Devices” icon, and then double-click on “USB flash disk management”. Then, you will have to select whether you are transferring the times your employee(s) have clocked In and Out, or the employee information such as their fingerprint and password data. Note: You can refer to the pictures above to see what options allows you to transfer either the times your employees have clocked In/Out or their Employee information. After selecting the option to transfer the times your employee(s) have clocked in, you will have to specify the drive location. Then, you will have to click on “From USB” and you will see a list of your employee(s) data pop-up. Afterwards, you will just have to click on “Save to PC” to save the information into the TCMS software. You should get a pop-up that says “Process Completed”. Now you can click on the Attendance icon to view the times your employee(s) have clocked In and Out.